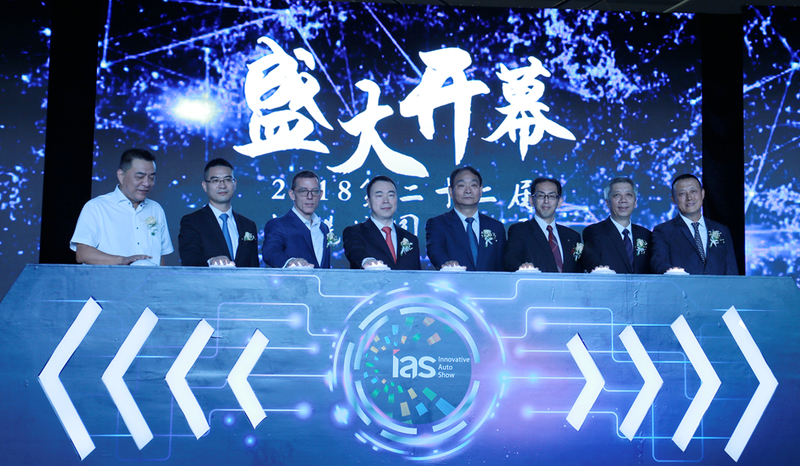 On June 2, 2018 (the 22nd) Shenzhen-Hong Kong-Macao International Auto Show and the First Session of New Energy and Smart Car Expo (hereinafter referred to as Shenzhen-Hong Kong-Macao Auto Show) had its grand opening in Shenzhen Convention & Exhibition Center. Zhao Lizhi, CPC secretary and general manager of China National Machinery Industry International Co., Ltd. (SINOMACHINT), attended the ceremony and announced the opening of the event. On the opening ceremony, Peng Mingjing, deputy CPC secretary of SINOMACHINT, delivered a speech on behalf of the sponsor. He said that SINOMACHINT has witnessed the development of the show from start-up to glorious rising and constant achievements in innovation. 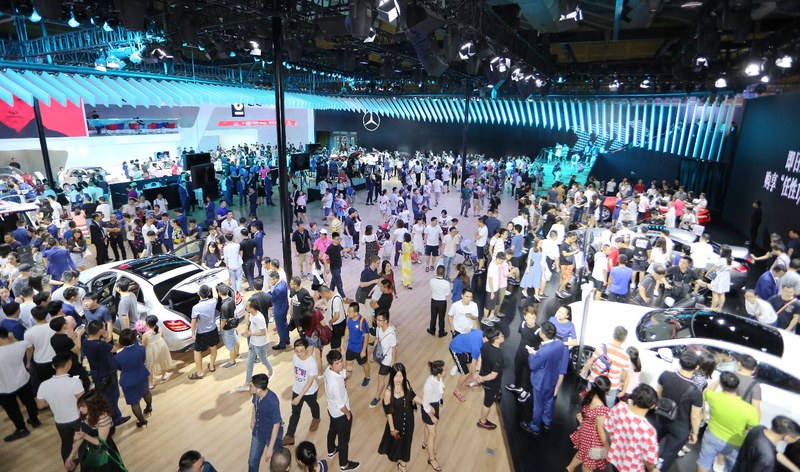 Currently with the city of Shenzhen as the hub, the event is gathering consumers from catchment areas of cities such as Guangzhou, Huizhou, Zhongshan, Zhuhai and Dongguan and the rich auto cultures of Guangzhou, Hong Kong and Macao and setting the trend for China’s automobile market. From Three Events into One to Collaboration among Three Cities, the event enables perfect integration of the “auto culture” with the four new modernizations of China’s automobile industry, namely electrification, networking, intelligence and sharing, preliminarily forging a new ecosystem and a new value chain for the industry. The nine-day event uses Halls 1 to 9 and the outdoor area of the Shenzhen Convention & Exhibition Center with a total exhibition area of 130,000 square meters. A total of 102 brands were represented with 1,029 units, including 12 concept vehicles and 150 NEVs, and 42 new car launches were held. During the event, major brands filled their stands with their best models. Mercedes-Benz claimed Hall 5 for its exhibition for the 4th year in a row with highlighted display of the entire families of Mercedes-Benz, Maybach, AMG and Smart. FAW and Audi, with 2018 as the 30th anniversary of their partnership, occupied Hall 6 that covered an area of 7,500 square meters for the exhibition of Audi with focus both on products and the brand, creating an impressive display. BMW occupied two thirds of Hall 7, its largest scale ever, for the entire range of its products. Launches of new vehicles were continuously staged during this year’s event. There was the debut of Audi Q8, Cullinan, the first SUV of Rolls Royce, AMG S63 of Mercedes-Benz and the presentation of more than 1,000 new vehicles such as Urus, the first SUV of Lamborghini, Bentley Bentayga V8 and Aston Martin. This year’s event was sponsored jointly by SINOMACHINT, China Ocean Aviation Group Limited (COAG), the Automobile Dealers Association of Shenzhen and the Federation of Shenzhen Industries and organized by Shenzhen United Auto Show Co., Ltd.